It is commonly known that public transportation, especially subways, are loud. But San Francisco’s BART is something else – to put it nicely. As stated in this WIRED article, it is truly annoying to take public transportation when it is practically impossible to have a conversation, listen to music or simply think. The noise was almost unbearable, so the transit agency decided to put a end to it – and very wisely so. What started out as very small and simple project became a much more complicated engineering task. It is no secret that implementing innovation in railways is not easy. Research on the wheels took four years, three contractors, German engineers, computer modeling, and about a year of testing. When they finally arrived to the root of the problem, they found out it was all about the shape. The current round BART wheels sit on a fixed axle, so they don’t spin independently of one another. When the train turns, the outside wheels want to go faster than their inside counterparts, which get dragged along. This inside “slipping” not only makes extra noise—it warps the rails. Called “corrugation,” that damage makes the noise even worse. If the wheels are just slightly tapered, they can re-adjust a bit while rounding bends, says Ben Holland, BART’s manager of vehicle systems. That means less dragging of the inside wheel, less warping of the rail, and less noise. This method seemed near to perfect, but safety was a major concern for the transit agency. Therefore, two more contractors spent a year testing the new wheel to ensure the operational improvements didn’t have unexpected downsides. After putting a lot of work to it, BART approved this solution, changed the shape of the wheels and drastically reduced the loudness – there are still many things making loud noises -, which is a huge improvement. 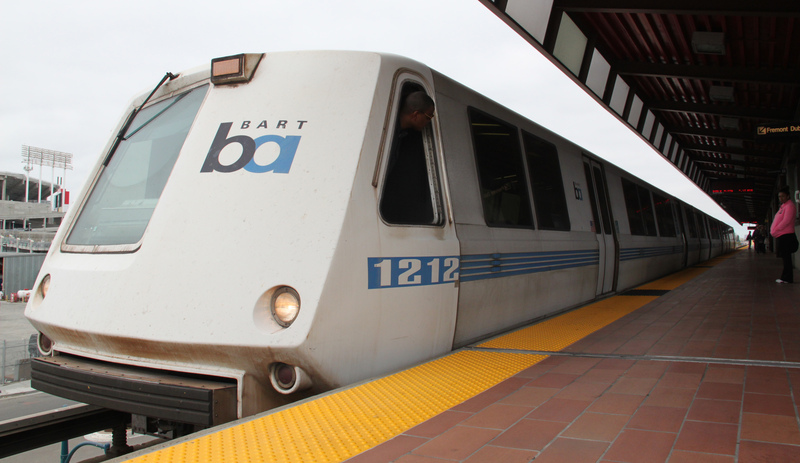 Just like San Francisco’s BART, Ennomotive is helping a company find a solution to reduce the vibration on tramway tracks. Do you want to participate in this project and win cash prizes? Make your unique contribution and help tamp down the racket!